Even today most people in the west are not familiar with the intricacies of Hinduism, Buddhism, or Chinese religions. Their Gods are still foreign to us, and often misunderstood. Buddha was not bothered about either where or who God was. 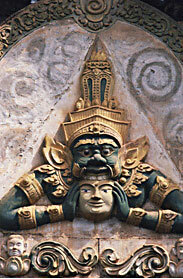 Hinduism says he exists in several levels taking different roles and different names. So the concept of God, although not ignored, is positioned as "mysterious" and "unspeakable" in these faiths. These religions believed that "non-attachment" to the world is the supreme goal. And attachment to "God" is still attachment, nonetheless. Hinduism, for example, is a religion unlike any other. This is because it has no founder and no specific religious text; although, the Bhagwat Gita could be considered as one. According to Hindu traditions, the religion is timeless and was first given to the Sun god by Lord Krishna, and transmitted to the worldly beings in various steps. Many religions' founders (such as Sikhism, Jainism and Buddhism) are Hindu, and therefore, share many of the beliefs and customs with Hinduism. All in all Hinduism is more than a religion (though some try to argue this). Besides a wide diverse set of beliefs, it has a set of customs and traditions that were synonymous with the people of India. The Upanishads, the substance of the holy Vedas (Hindu scriptures), set out to probe the truth about God. Adopting the Doctrine of Inquiry‚ propounded by the Indian Sage, Yajnavalkya, they examined all the products of Creation one by one and rejected them as‚ neti, neti‚ (this is not it, this is not it) -- finally concluding that God is Truth, Knowledge, Bliss (Sat, Chit, Ananda), and much more. But all these viewpoints are abstract and denote nothing in substance, just as Space and Time. Yet everything‚ the Cosmic matter, Life and Soul‚ came out of it. So God is Nothing, and the Whole at the same time. This view of God resembles some of those early ideas of the one God that came out as early Judaism. Many denominations of Hinduism, such as Vaishnavism and Saivism, teach that occasionally, God comes to Earth as a human being to help humans in their struggle toward enlightenment, and salvation (moksha.) Such an incarnation of God is called an Avatar. In some respects, the Hindu concept of Avatar is similar to the belief found in Christianity that God came to the earth incarnated in the form of Jesus. However, whereas most Christians believe that God had assumed a human body only once, Hinduism teaches that there have been multiple Avatars throughout history, and that there will be more. 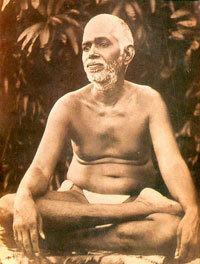 The above picture is of Ramana Maharshi. Some believe he was a living Avatar of the 20th Century. In other words, he was an Enlightened being similar to Christ, Buddha, and Krishna. Here is a video about his life and teachings. You will probably view this video and say this "Avatar" just looks like a little old man. Remember what someone said... "When a pickpocket sees a holy man he sees nothing but his pockets." Looks can be deceiving and Maharchi's presence was said to be the proof of his self-realization. 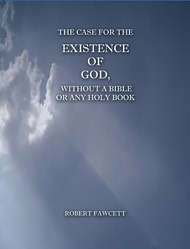 Just remember that as you explore other views of God, you must have a firm understanding of who God really is, .....and that is the purpose of our SPECIAL REPORT, The Case For The Existence Of God, Without A Bible or Any Holy Book. Judaism says there's a God, and the way to him is to fulfil God's will is found most clearly in The 10 Commandments. Islam says there is a God, and the way to Him is that we must obey Muhammad, and therefore, the discipline of the Koran's teachings. Hinduism say's there's a God, but we have to go through reincarnation to get to Him, from sub-human form to human form to improve the soul. Order our book. We explain it. The book is succinct, and gets to the core issues -- the key questions. 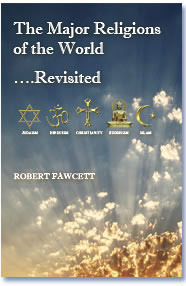 You do not have to read the entire library to understand the differences among the religions. Just remember that when you explore other views of God, you must have a firm understanding of who God really is, ....and that is the purpose of our Special Report, The Case For The Existence Of God, Without A Bible Or Any Holy Book.